Stop the Cap! reader Rick has been educating me about some of the new-found aggression by Shaw Communications, one of western Canada’s largest telecommunications companies, in expanding its business reach across Canada. Woe to those who get in the way. Novus Entertainment is already familiar with this story. As Stop the Cap! reported previously, Shaw launched fire sale pricing on its cable, broadband, and telephone services ($9.95 a month for each) and target marketed those limited special offers in and around buildings wired for Novus service. Novus protested to the BC courts, claiming Shaw was engaged in predatory pricing behavior. A few days ago, an Ontario court judge dismissed a suit brought by Rogers Communications against Shaw over Shaw’s plans to buyout Mountain Cablevision, a smaller cable provider serving parts of southwestern Ontario. Rogers was upset because the purchase violated a “covenant” between the two telecom giants not to compete in each others’ service areas. Now, Shaw’s trucks are rumbling down the roads of Delta, a community south of Vancouver, as work begins on constructing a cable system that will directly compete against Bragg Communications’ Delta Cable. Shaw also has won approval from the Canadian Radio-television Telecommunications Commission (CRTC) to competitively wire Ladner and adjacent neighborhoods southeast of Vancouver. Shaw president Peter Bissonnette told industry news site Cartt.ca the wiring of Delta and Ladner comes as a result of “people there saying they would like to get Shaw.” So now residents can look out their windows and see Delta Cable’s wiring on one side of the street and Shaw’s wires on the other. Another success story for head-on competition leading to lower prices and more choice, right? As Cartt.ca reports (one article view is available for free, subscription required thereafter), there is a history to be considered here, and that may include another agenda beyond the “consumers wanted us so we came” explanation. There’s a bit of history to the Delta system and Shaw, however. Back in 2006, when then-owner John Thomas decided to sell Delta Cable and Coast Cable, many assumed he would sell to Shaw. After all, Thomas was on Shaw’s board of directors. However, aware of the fact most of his employees would likely be out of work if nearby Shaw bought it, he instead surprised most by selling to what was then Persona Communications, for about $90 million. Some months later, Persona itself was purchased for a reported $750 million by Bragg Communications, which does business, of course, as EastLink, primarily in Eastern Canada. 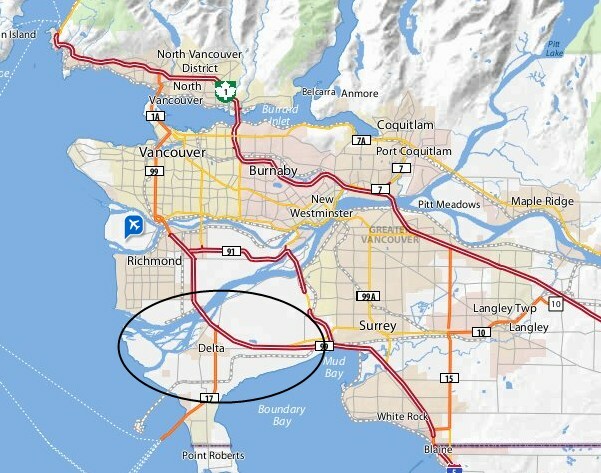 Cartt reports it is no secret Shaw wants the Delta region as part of its greater Vancouver service area, and the traditional route by which most cable companies do this is by buying out the incumbent provider. Bragg Communications understands this, and has sold some of its own systems in the past, most recently in Saskatchewan. But so far, not in Delta. Bissonnette was cagey when asked if Shaw had pursued the buyout route, which is always cheaper than overbuilding an area with all new wiring. “They know what we are doing. There’s always more than one way to skin a cat you know,” he said. If Shaw adopts the same aggressive strategy in Delta they have used against Novus in downtown Vancouver, it will likely make Delta’s current cable system unprofitable. Bragg would be forced to consider either engaging in a sustained price war, something Shaw is in a better position to handle because of revenue earned from non-competitive areas, or eventually sell the Delta Cable system at a fraction of its original value. For comparison, Delta Cable charges $26 a month for analog basic cable plus $26.95 a month for a robust digital channel package. Broadband service, with a 62GB usage cap is $39.50 per month. They don’t seem to offer telephone service. Shaw promoted a digital/basic combination package in downtown Vancouver for $9.95 a month and broadband for an additional $9.95. Shaw to Delta Cable: Compete with that. For a time, up to 28,000 households in the area may enjoy some benefits from a sustained price battle, unless Bragg capitulates and sells out early, but in the end, if Shaw engages in the kind of allegedly predatory pricing it has in downtown Vancouver against Novus, the benefits will be short-lived, and Shaw always has time to make up the difference down the road.